If you're one of my 'friends' on Facebook you might have noticed that over the course of the past few weeks, culminating in a freebie giveaway this weekend, I have edited, designed a particularly beautiful cover for and e-published my latest 'baby' onto the Amazon e-book/Kindle site. 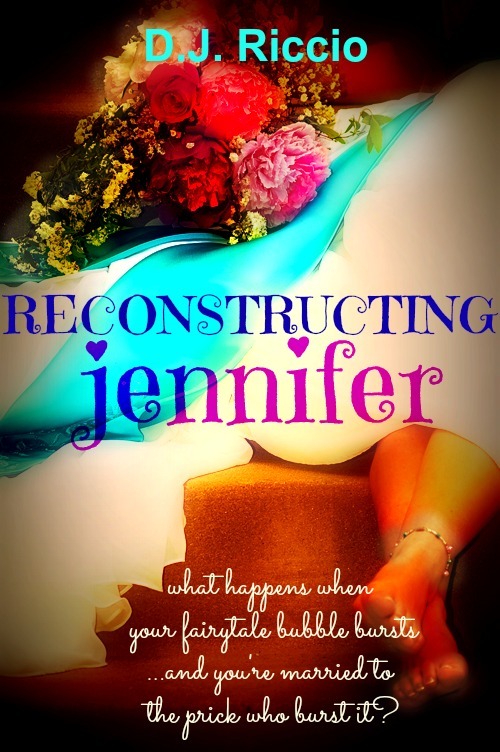 Only 'Reconstructing Jennifer' isn't strictly my latest baby. This book was the first book I ever wrote 'the end' on and was completed probably something like 10 years ago. It spent a further year being hidden in my document files on a very prehistoric pc (I even have the original on a floppy disc somewhere) before I summoned up the courage - aided superbly by the lovely writerly interweb friends I'd made at the same time and to whom I have dedicated the book at the start - to send it out to agents and publishers. Which made the following year a very very fraught one indeed. 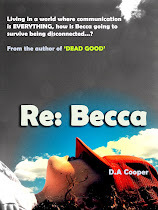 You see I hadn't planned on writing a whole book to begin with and when I started to get such positive feedback from the writing group I belonged to, I quite imagined it could be plucked from relative obscurity (a.k.a the slushpile) and jettisoned into the dizzy heights of publication. Oh how simple were my beliefs back then. I even did the ridiculous thing of printing off my chapters, writing my covering letters and synopsis and sending it trepidaciously off to ONE Agent at a TIME - not fully appreciating the length of time it takes an Agent to respond. I got very little sleep that year, I can tell you. And if it hadn't been for some sensible suggestions from my dear writerly friends then I'd have gone quite insane. I'm not the most patient of people. I may appear calm on the outside, but it plays havoc with my internals. At the last count, 'Labrats' did 2 rounds over the course of 18 months and met with approximately 58 rejections. Some of them were lovely and encouraging, some of them came back with a "NO!" scrawled in blood *could've been red ink* on my original covering letter but none of them came back complete with pubic hair (that actually happened to somebody but I can't tell you who). 'Reconstructing Jennifer' was called 'Labrats' back then - titled such because it's how the main character feels, being trapped in a marriage where she has a cheating husband, a new baby to contend with and parents you couldn't rely to pass you a piss-pot if you happened to catch fire. Just like a Lab Rat. Only then some TV people called a new and lame sitcom the same thing, so I felt obliged to re-name mine. And I never thought that Jennifer would see the light of day until the other week when I thought, bless her and flip it all, she deserves to get some fresh air about her pasty cheeks, let's see what the world will make of her. As I started to read through it and re-format it and edit it here and there, I found I loved her and her story as much as I ever did. And so she was revealed. I do hope you've managed to have a wee 'look inside' as the Amazonians like to tempt. And if you like what you read, then do, please download it. I'm crap at marketing and terrible at encouraging people to do things they really don't want to do, just because I say they should, so don't feel bad will you - if you don't like it or want to buy it I mean.Okay? 300 downloads this weekend. I'm very cheered by that. 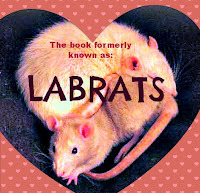 And I love that my Labrats is finally 'out there' - it's been a long time coming. What a lovely story, Debs and I'm sure you've done Jennifer proud. I've just bought it - didn't think it fair to get a free copy, so waited until it was for sale; we authors have to eat, afterall! Looking forward to reading it over the Easter hols.